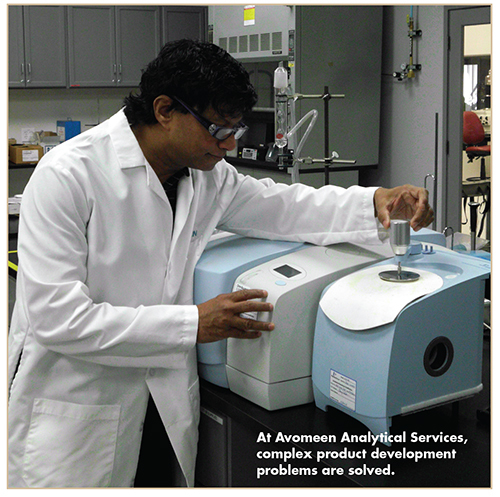 The importance of analytical testing is evident by the growth of the CRO sector. ISR’s report, “2014 CRO Market Size: 2012-2018,” points out that the CRO market was projected to reach $23.6 billion in 2014. With a 7.9% CAGR from 2014 to 2018, CROs are benefiting from the increased rate of outsourcing and increasing R&D budgets from biotech and specialty/generics companies. This annual report from Drug Development & Delivery magazine highlights some of the leading players in the analytical testing space and how they are working with pharma clients to develop quality formulations, get drugs to market faster, and reduce risk. 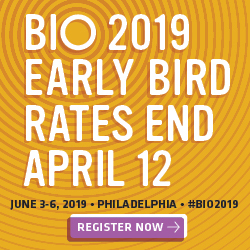 Early-stage drug developers generally have their sights firmly set on the initiation of clinical trials, and rightly so: the outcomes of toxicological and pharmacological studies generally determine whether a drug candidate is viable for development. But as many pharmaceutical innovators have learned, the importance of Chemistry, Manufacturing and Control (CMC) data should not be underestimated. Insufficient data or a poorly thought-out approach to CMC can be pivotal to IND approval. Meeting FDA expectations for CMC requires careful planning. This is particularly true of biopharmaceuticals due to their inherently complicated structures, multiple degradation sites, and cell culture impurities. While the FDA does not require complete characterization of the biopharmaceutical at the IND stage, it does expect a wide variety of issues to be addressed in a submission, such as identification of protein sequence, an activity assay based on binding, assays to demonstrate safety, purity and stability of drug substance and drug product, and determination of immunogenicity and the presence of anti-drug antibodies (ADA) in plasma, a safety concern unique to biopharmaceuticals that presents an additional analytical challenge. How can a drug developer ensure a safe, pure, and stable drug in the most efficient manner possible? Dr. Petrie suggests that studies need to be phase-appropriate, performed in parallel and proceed as a continuum. Up to and including Phase 1, analytical methods need only be qualified, not validated. Linearity, precision, accuracy, and specificity will suffice at this stage. When planning an approach to analytical methods, it is important to evaluate several possible techniques simultaneously and determine which are optimal for your application. Finally, it is important to approach analytical development as an iterative process of continuous refinement so that the improved/validated techniques are completed as the drug progresses through Phase 2, Phase 3, and commercialization. Modern CROs have to evolve to meet the growing needs within the pharmaceutical industry. As products become more complex the required analytical testing associated with them also builds in complexity, thus newer more sophisticated methods and instrumentation are required to meet ever increasing demands. The skills of a company that can properly meet these needs are strongly desired by many companies within the industry and are needed more and more every day. To address its clients’ complex needs, Avomeen relies on its experienced staff and has a completely redesigned, customized 2,500-sq. ft. facility equipped with many segregated laboratories that contain state-of-the-art equipment, including GLP/GMP labs, R&D labs, formulation suites, ISO-7 compliant clean rooms, and more. Programs in the early stages of development are often challenged by complexities associated with the chemical and physical properties of the drug. These properties can, in turn, lead to challenges developing analytical methodologies and delivering the drug in a manner that enables its safety and efficacy to be clearly established. Thus, it is recommended to partner with workforces comprised of highly trained scientists and analytical testing and development partners who have accumulated extensive libraries of experiences that span a range of molecule diversity and attributes. Many of these organizations have partnered with hundreds of companies to advance molecules over both technical and regulatory hurdles. Cultivated from these experiences are sophisticated and efficient workflows that drive fundamentally sound technical outcomes. 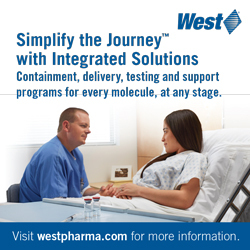 One example of this is Catalent Pharma Solutions’ Optiform® technologies platform. This platform combines sophisticated informatics and automation tools to design and assemble salt and crystal-form screening studies. “When combined with high-end solid-state analytical capabilities (e.g., high-throughput FTRaman, X-ray powder diffraction, and thermal analysis) and a highly experienced technical workforce, an optimized solid-state form can be selected in a short period of time utilizing a relatively small quantity of drug substance,” says David Igo, Director Product Development with Catalent. These materials can then be employed in early PK studies to support a fast-to-fail development model. Development organizations draw their strength from an integration of services that begin with preformulation activities and extend through clinical and commercial manufacturing support. Through this integration, they are able to develop both broad and deep partnerships with clients that are supported by comprehensive analytical services. The services critical to the success of development programs include an agnostic preformulation service that allows the physico-chemical properties of the active pharmaceutical ingredient to be evaluated against attributes important to the intended product profile (e.g., solid-oral dosage form, subcutaneous injection) without being biased by a target drug-delivery technology. 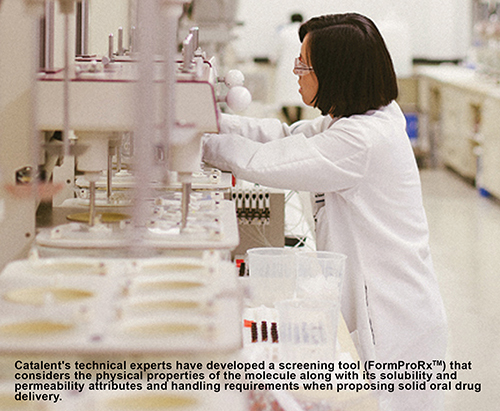 “At Catalent, our technical experts have developed a screening tool (FormProRxTM) that considers the physical properties of the molecule along with its solubility and permeability attributes and handling requirements when proposing solid oral drug delivery,” says Dr. Igo. 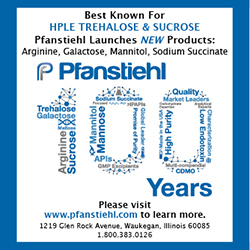 The pharmaceutical industry is facing substantive changes being made by the U.S. Pharmacopeial Convention (USP) concerning the testing of elemental impurities. The new guidelines take effect in December 2015. Until recently, testing for metal impurities in pharmaceutical products has been limited to a few compendial procedures in excipients, residual catalysts, and a metal detector at the end of the production line to check for shards. That will change with the implementation of the USP’s new guidelines. The intent is to replace the existing benchtop, heavy-metals procedure with more modern and effective techniques, such as ICP and ICP-MS. The guidelines also introduce the requirement to monitor finished product for possible metal shed from processing equipment and container closures. Once the rollout is complete, manufacturers will be expected to have results for their products, as well as some assessment of process to assure minimal contamination. Theoretically, testing for elemental impurities is like any other analytical procedure – the sample is prepared, tested on an instrument versus calibration standards, and the levels of impurities are calculated and reported. But practically, it requires specialized equipment for both preparation and analysis that many pharmaceutical labs do not currently operate. Microwave digestion is the sample preparation tool of choice for ICP and ICP-MS. It is fast, effective, uses minimal sample, and is applicable to nearly all kinds of samples. Metrics offers different models that can be selected based on the required throughput. Sequential or batched digestion is available. 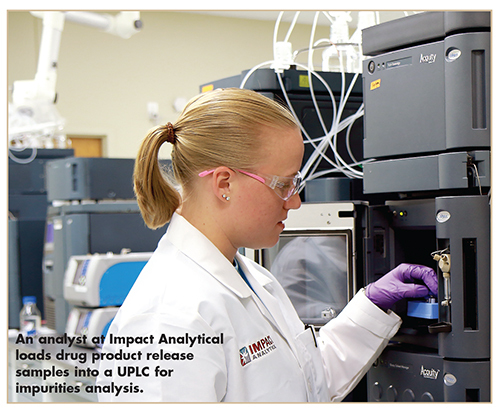 Once digested, the analyst will select ICP-OES or ICP-MS based on the sensitivity required. Because the required limits are scaled by the daily dose, ICP-MS will be used for the majority of analyses, especially for injectable or high-dosage products. The latest ICP-MS systems also use interference correction systems to reduce the risk of false positives. Conveniently for the analyst, both ICPOES and ICP-MS can determine more than 50 elements simultaneously. The Analytical Services Department at Particle Sciences consists of 21 dedicated scientists trained to characterize drug products at stages of drug development from proof-of-concept through support of clinical trial material release and stability testing. The group works in GMP-compliant laboratories in cross-functional teams led by internal project management. Combined, the group has more than a century of pharmaceutical analysis experience with small-molecule APIs and complex delivery systems for biologics. Using state-of-the-art instrumentation including HPLC, particle size analysis, mass spectrometry, rheology, gel electrophoresis, and other modern analytical techniques, the group provides timely and critical information on the drug product to guide formulation development, explains Laurie Goldman, Director, Analytical Services for Particle Sciences. Assessment includes physical testing as well as chemical characterization on a range of dosage forms, including solid oral dosage, topical/mucosal/transdermal delivery, nanoparticulate and microparticulate injectables, ocular administration, and combination drugeluting devices. Methods are developed with the intent of providing immediate feedback on stability and delivery of drug. As such, methods are developed to be stability indicating and indicative of in-vivo release. PSI uses stability-indicating methods in early stages of development to correlate how the manufacturing process influences the stability of the API. These results inform the formulators in their choices and direction. In later stages of development, stability-indicating methods are used in ICH-compliant long-term product stability studies. In vitro release studies are used in early stages of development to compare delivery from various dosage forms and formulations. In later stages of development, they may be used as quality control tests to indicate if changes in the product over time have resulted in any change to the release of drug substance from the drug product. Once in-vivo data is available, an in-vitro method that has been established to show in vivo/in vitro correlation can be used to assess potential changes to the drug product or manufacturing process. Methods are developed to be fit-for-purpose, providing a level of confidence in the results produced from them. When appropriate, methods are validated according to ICH Q2B guidelines to a level appropriate to the development phase being supported. Physical characterization methods are performance-verified for support of GMP studies. In early stages of product development, when validation is not necessary, a more limited evaluation of analytical methods is performed to assure results generated from them are scientifically sound. Compliance to GMP regulations is mandatory in all laboratories. Compliance is ensured by a combination of ongoing training of analysts on the techniques in use, formal qualification of instrumentation, and method validation. “These fundamentals provide the foundation on which solid, reliable methods are used to generate and interpret the critical information necessary for efficient and effective drug product development,” she says. About 10 years ago, SGS Life Science Services took a step towards large molecules by opening its first biologics testing laboratory in Wavre, Belgium, and continues to invest in biologics testing. This was achieved through both the acquisition of the MScan Group and through the development of specific, large molecule testing services in a number of the existing, traditionally small molecule, SGS laboratories in its global network. “For companies new to the biopharmaceutical market, they see SGS very much as a consultative partner rather than a service provider, and look to us for advice as to how to design experiments and how to deal with regulatory issues, whereas previously clients would approach us with a pre-determined list of tests to conduct,” says Dr. Mark Rogers, Senior Vice President, Life Science Services, SGS North America Inc. To reduce development times, especially amongst smaller and mid-size biotech companies, it is becoming more common for clients to engage with service providers earlier and on a more collaborative basis. SGS recently opened a facility in Carson, CA, to provide bioanalytical testing, its first facility in North America. Sites in France and Belgium have validated more than 700 methods and this experience can be transferred to Carson for clients who would be looking to have this testing performed in North America. 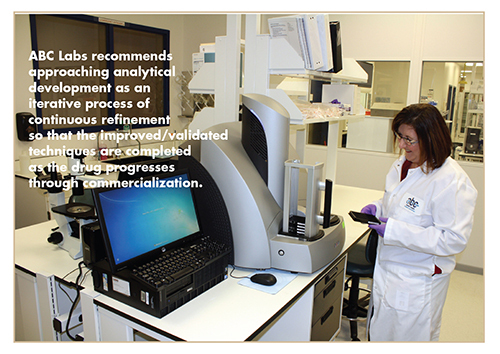 Quality Control is an important part of release testing for both commercial and clinical drug products. The accurate quantitation of drug in the dosage form is critical to ensure that the patient is neither under or over dosed. In addition, during formulation development, it is necessary to provide accurate testing results to help guide the formulators in the development and optimization of the dosage form. Better formulations and processes are proposed and defined based on the analytical data. The principle types of analytical methods for new drug development are potency of the drug, impurities, and dissolution in various media. For potency and impurities, scientists develop simple and robust methods for their intended uses, which include monitoring stability of new drugs or new formulations. Method parameters and appropriate sample preparation procedures are critical in the development of new methods. For dissolution testing, the analytical team will develop suitable methods for water soluble or for highly soluble active pharmaceutical ingredients. Initially, the early methods will be used to compare different formulations. These methods should be developed well enough to provide formulators direction for decision making. Suitable analytical methods need to be well developed and evaluated. One of the biggest challenges for the Xcelience analysts is that there are more potent compounds in early development that require dosage strengths as low as microgram levels. These formulations present a challenge to the analyst to accurately quantitate the active compound and the quantitation of related substances or degradant compounds. Solutions for these challenges include increasing the sample concentration and/or injection volume of the sample. In addition, online procedures for concentrated sample preparations, UPLC, and/or detection, other than traditional UV/VIS, could be employed to meet the challenges. For dissolution testing, small-volume dissolution apparatus may be used and more efficient testing methods may be developed. “Use of techniques such as these has allowed Xcelience to provide analytical support of low-dosage form development,” says Dr. Chang. For the fastest approach to get an active in First in Human clinical studies, Xcelience uses Xcelodose technology, which can fill active pharmaceutical ingredients directly into capsule shells to provide doses in the microgram levels. In addition, low-dose capsules or low-dose tablets can be developed.